According to Stephen Holder, Indianapolis Colts center Ryan Kelly will undergo surgery and is expected to miss some time during the regular season. Holder went on to say there is not a specific timetable for his return. After Kelly hurt his foot in practice the Colts tried a “rest” approach that didn’t seem to work. The Colts were hoping for a big second year from their 2016 first-round pick, who was solid during his rookie year, earning an overall grade of 73.8 and ranking 22nd out of 39 qualifying centers. 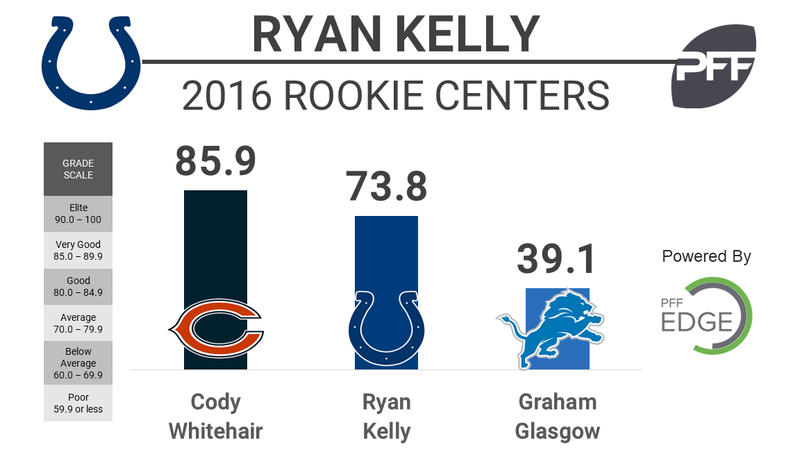 In 2016, Kelly also ranked 22nd in pass-blocking efficiency at 97.6. He allowed 20 total pressures on 623 pass-block snaps but did not allow a sack.